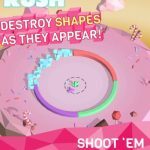 One can argue that Ketchapp is one of the, if not the most prolific maker of casual games for mobile devices. The company’s latest game, ZigZag is a popular title for Android and iOS platforms. 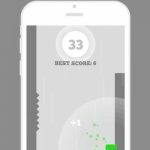 It’s a very straightforward game – tap on the display to move the ball around and make as many zigzags as possible while staying on the wall. Or is it really that straightforward? 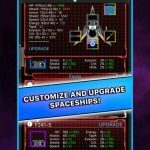 We understand that there may be some among you who just can’t get a high score in this game, but that’s why we’re bringing you our list of ZigZag cheats, tips and hints to help you out. The latest version of ZigZag comes with a store that allows you to buy more marbles with the crystals you earn in the game. One marble costs 100 crystals, so be sure you play the game with the objective of collecting as many crystals as possible in mind. When trying to get the highest possible score, it’s a good idea to try slowing down ZigZag. You can do this by loading the game with other apps open and running. A more elaborate way to do this would be to open another app, try to load Game Center, albeit partially, then move right back to ZigZag. Aside from earning crystals, which will earn you two points per crystal collected, you can also try tapping the display of your device as often as possible – this allows you to change direction, hence earning you a point. Of course, you should be careful when using this tactic, as you should also try to stay alive! 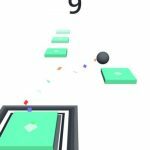 When it comes to games like ZigZag, using a two-handed, or two-thumbed technique is one way to multitask better, and keep your game going for longer. It may take a bit of practice if you’re used to using only one finger, but using two thumbs should soon enough become second nature to you. You don’t want to be going to the sides, because that may cause your marble to roll off. Instead, you should try to center your marble down the aisle – it’s safe, and it’s going to keep you going and collecting more points. We don’t mean this in the sense that some marble colors may earn you more points than others. What we’re referring to is choosing a color that contrasts against the stage’s color, rather than one that mixes with it. It’s always good to choose bright colors, as they contrast better and are easier to see. Once you’re at the 400-point mark, you’ll notice that the path turns white, as opposed to any other color. To counter this, focus on the shadows and not on the path; focusing on the path would only throw you off once it turns white.